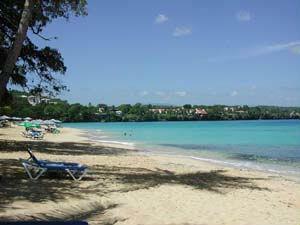 Sosua, home to one of the finest white soft sand beaches on the north coast of the Dominican Republic. Sosua has grown from a once a small farming community founded by German / Jewish settlers in the late 1930's, to one of the most lively Caribbean towns attracting both ex-pats looking to settle on new shores and tourist alike. Activities in the area include diving, snorkeling, numerous other water sports as well as numerous day trips out to the country for hiking, bike trails etc. Why do people choose to settle in Sosua? With numerous supermarkets, banks, pharmacies, restaurants, schools and all the necessities for day to day living, the town lends itself well to practical day to day living. With Puerto Plata international airport only a 20 minute drive away having connections to N. America, Europe and other Caribbean countries, it is fast becoming a place for second homes in the Caribbean. In between Sosua and Cabarete, are numerous communities from simple open residential areas to fully managed gated communities. Depending upon your circumstances, we are happy to recommend the appropriate place for you and help you find your dream home. For more information and property listings in Sosua, please visit our main website at Sosua Real Estate. Sosua is known for its crescent shaped beach that offers beautiful clear waters, perfect for diving and snorkeling, as well as that tan! Nightlife in Sosua is more upbeat than Cabarete, and it has many bars, restaurants and nightclubs. SCUBA diving – Probably one of the most popular activities in Sosua. Choose from one of the many dive centres offering courses for the unexperienced and daily diving for those qualified. Snorkeling – Hire your equipment on the beach and swim out to the reefs or go on a tour with one of the dive centres. The clear waters provide perfect snorkeling conditions. Zip Lining – Fly through the treetops and across valleys with one of the two zip lining companies offering this exhilarating experience. Water slides – Visit the water park, based just outside Sosua for a day of great family fun. Monkey jungle – Home to both squirrel and capuchin monkeys, visiting this 2 acre tropical jungle with waterfalls and caves makes a great day out.